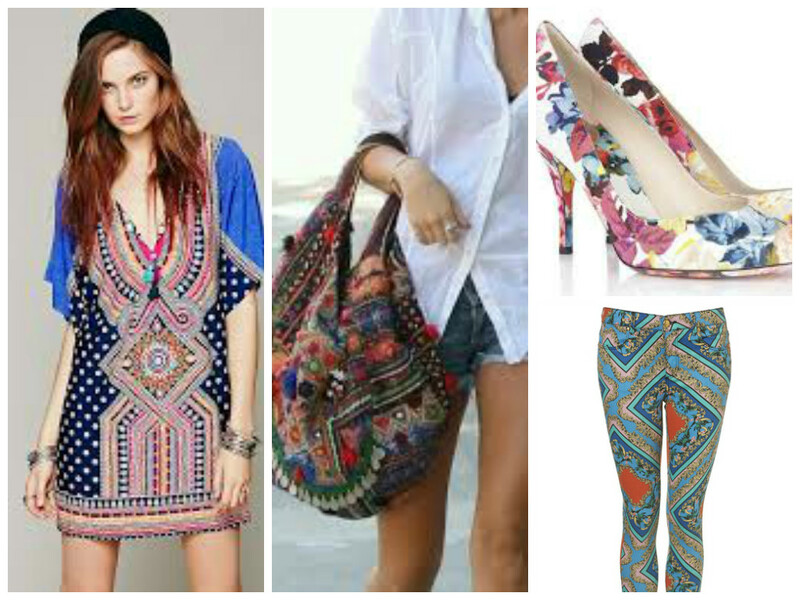 Nothing spices up an ordinary outfit like a bold burst of print! Over the last few years, this trend has seen many evolutions and revolutions. Today, the world of fashion is home to more variations of print than one can imagine – think floral, digital, literal, animal, Ikat, tie-dye, vintage, Aztec and water colour, to name a few. Unfortunately, when it comes to the print craze, there is a very fine line between making a powerful style statement and looking like Paula Patton at the Grammy Awards last year. In fact, the very fear that prints and patterns may come across as “loud” or “gaudy” prevents many ladies from testing the waters. Yes, I’m looking at you! What you do not realise is that when you ban quirky prints from your wardrobe, you miss out on one of the most exciting and versatile trends that fashion has to offer. If you are used to a safe and minimalistic wardrobe, it might be a good idea to take baby steps into the whacky world of print. Start with your footwear and handbag. Invest in a pair of swanky leopard print loafers or a bohemian Ikat satchel. Once you feel confident and comfortable, you can up the ante. The trick to rocking the print trend like a superstar is to select one printed statement piece and curate the rest of your ensemble around it. Ideally, this garment should be fitted. No billowy kaftans for us, thanks! Neutral shades like white, grey and beige are ideal for your accent pieces and will instantly cue in some sophistication to balance out the vivid print. The rest of your accessories and jewellery should be as simple as possible – a pair of elegant diamond studs and nothing more. Remember, the print is the centre of attention and nothing should take away from that! start playing around with textures. The combination of different fabrics is easy on the eye and adds a sophisticated element to your get-up. Needless to say, the rest of your look – hair, makeup and accessories – should be as vanilla as possible. Only then will the true flair of the mixed prints emerge. It is time to get your print on!